.Coming in at a sturdy 29.6 pounds, and measuring in at 18.4 x 29.6 x 19.4 inches is the Dometic Portable Freezer/Refrigerator (available on Amazon right here). You can go small at 10.5 liters or go big at 106 liters. Wait, what? Yes, you read correctly. We ARE reviewing electric coolers, and though this is a portable freezer and refrigerator, this one STILL fits the bill and falls under this category. One user called this unit “life changing.” The user is a truck driver who often kept a microwave and DC powered cooler in his truck. While it allowed him to save some money by avoiding eating at truck stops, picking up the Dometic changed his life completely. In the past, his menus were limited but since he now has a freezer on the go it has changed his life. Many other users have rated this at 5 out of 5 stars, with one user commenting that it was an excellent buy as they use it on their sailboat as the primary refrigeration unit. Is this the best electric cooler then? Well, we think it’s a real jewel and one of the top iceless coolers for sure. TIP: More Dometic Coolers here, in our exclusive review. .If you are looking more for a name brand that you may recognize, then you check out the Igloo Iceless Thermoelectric Cooler (it’s right here). 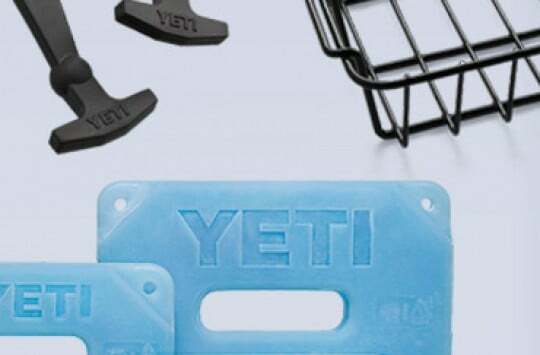 You may have spotted that we briefly covered this product in our Igloo coolers for sale post. If you haven’t see it, here’s a quick recap. You can pick this up in either a 26 or 28 quart size. The Silver and White colors give it a sleek look. This unit cools down to 36 Degrees F below the outside temperatures giving you standard size refrigeration cooling capacities. Take it on the go on your next camping trip, to keep items cold as you travel or just to take with you for long hours at the office. One user in particular seemed to get their money’s worth from this cooler taking it on a 4,000 mile summer trip that took them through 7 states and back. The user stated that it fit perfectly in the car and worked as advertised, AND that all of the food stayed fresh. Another user stated that it was the best thermoelectric cooler they had ever used in their semi-truck over a career that spanned over a decade. The user also went on to say that it cooled better than any mini-fridge they had tried and actually cooled better than other iceless coolers. This cooler comes in at 40 quarts and measures 15 x 21.75 x 17.125 inches. The 40 quart size boasts the ability to hold 44 cans of your favorite beverages in addition to any other snacks. The motor also cools contents down to 40 Degrees F below the outside temperature. One user stated that it works great for those times when you want to bring your own food, such as on road trips or camping getaways. One user and his wife prepared meals in advance so they would not have to eat out while they were on the road, and it worked fine. The user also noted that it was used in their cabin as a refrigerator and worked well also. Another user actually put a dollar amount on what could be saved by using this cooler. Want to take a guess how much? How about a cost savings of $100 a day. The user reported that their vacationing family of six stored food in the Coleman PowerChill and it stayed cold for the duration of the trip, ultimately saving them hundreds of dollars from eating out. That, according to him, made the Coleman the best thermoelectric cooler out there. .The beauty of some electric coolers is that some double as warmers as well. Such is the case with the Koolatron. This cooler/warmer is 9 pounds, comes in at a portable 17.8 x 9 x 16.5 inches and fits nicely in tight spaces, such as between the seats in a car. This iceless cooler (here’s a product page on Amazon) will cool down to 40 Degrees F from the outside temperatures. It was also invented over 30 years, so you can count on years of experience and testing to bring you THE best when it comes to iceless cooler technology. One user reported using this unit to keep drinks and food cold on trips. The user stated that it came as advertised and fit nicely in their sedan, right behind the driver’s seat. The user also mentioned the power of this unit, stating that it should NOT be plugged in to the cigarette lighter for more than four hours when it is parked, as it will drain the battery. The solution that the user found was to take it into their motel room and plug it in. Iceless coolers can be a great addition to your next camping trip, extended vacation or even to take with you to work. However, each unit is different and because of it’s difference, you need to take a closer look at your own needs. As you begin to decide WHICH will be the best electric cooler for your needs, think about what you want and what you don’t want. Here are some questions to think about. Do You Need Freezing Capabilities? If you just need to keep some sodas and sandwiches cold, then you can really choose any of the ones on the list above, however when you start talking about extremely extended trips such as an occupation as a truck driver, then you are really getting down to some specific needs. If you need the ability to freeze your food as well, then you may want to consider the Dometic Cooler reviewed above. Again, as a personal review stated – it was life changing. It can also save you tons of money that you would have spent eating out. Do You Need Warming Capabilities? You may find yourself needing not only cooling capabilities, but also warming ones as well. If you are involved in activities that call for potlucks or a variety of foods, that may require you to bring cold dishes on some days and warm dishes on others, then you should check out the Koolatron Cooler and Warmer. Do You Need Something That Can Fit In Tight Spaces? When you take coolers with you on the go, such as a road trip or camping, then this typically means that others are coming along with you. This also means that space may be at a premium so the more portable the unit the better. 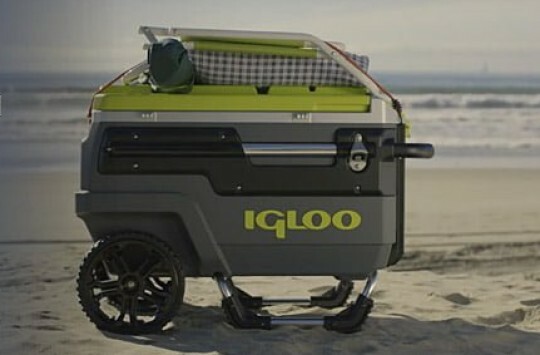 As a user mentioned above with the Igloo Iceless Thermoelectric Cooler, it was taken on a road trip across several states for thousands of miles and held up nicely, as well as fit ideally in the back of the car. It can be also good moment to take a look at our best RV camper cooler review. There are many different iceless coolers on this list and we hope that we were able to bring you a wide variety of the best electric cooler reviews. When it comes down to choosing though, the best thermoelectric cooler will be the one that fits your needs the most. Take a look at what you will be using it for and what your specific needs are, and we are certain that you will be able to pick up a cooler that will suit your needs. And if by chance you haven’t found yours here, we recommend you checking out all thermoelectric coolers available on Amazon. i have burnef through 4 coleman’s in less than 2 years. their average life span in 2 months, if you are lucky, before the motors burns out. Coleman should be ashamed of themselves for selling such a horrible product.